This week brought a lot of new businesses accepting Bitcoin! And also a new country… But you can find some of this news in our following weekly round up. Besides the articles that kept you informed during all week, we also created a list of 18 websites where you can get your Bitcoins for free and presented Primecoin, the first proof-of-work based currency. You can check these articles later, but for now let’s take a look at what happened this week. 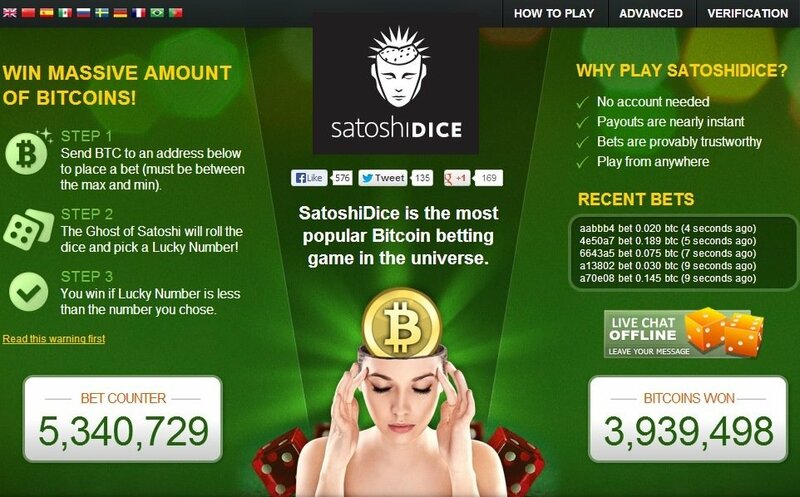 There’s a new place where you can bet your Bitcoins on your predictions: Predictious. After the popular betting page Intrade had a conflict with the north-American authorities in December, Predictious is here to replace it with a lot of new issues waiting for your forecast… and your Bitcoin bets. Kipochi is releasing its special Bitcoin wallet and the news couldn’t be better: thanks to this service, which allows people to send and receive virtual currency and convert it through the popularKenyan service M-Pesa, one third of the inhabitants of Kenya now have a Bitcoin wallet. Although this doesn’t mean that everyone is using Bitcoin, it’s a huge step forward towards the massive adoption of the digital coin in Africa. Linked with M-Pesa, the new wallet allows every user with a proper ID to swap funds just by using a phone number as an account number (the Kipochi server receives the Bitcoins through a 34-character address). Almost 14,5 million Kenyans and 5 million Tanzanians have already signed up for the service, which provides cryptocurrency transactions with very low fees. So, we guess it’s time to say “watch out” to services like Western Union or Moneygram. The new feature implemented by Coinbase is already making transfers easier and quicker, but only if you are willing to give up a little bit of your privacy to become a verified user. The company has announced, on their official blog, the possibility of making instant Bitcoin purchases to the north-American users who supply private information through the same kind of questions banks and credit card companies ask to their clients. Chinese Bitcoin users recently won a new cryptocurrency wallet. The free and open source software, created for the iPhone and Android devices, was designed by ASICME, a Beijing-based startup with just one month of history that is producing Bitcoin mining equipment in China. 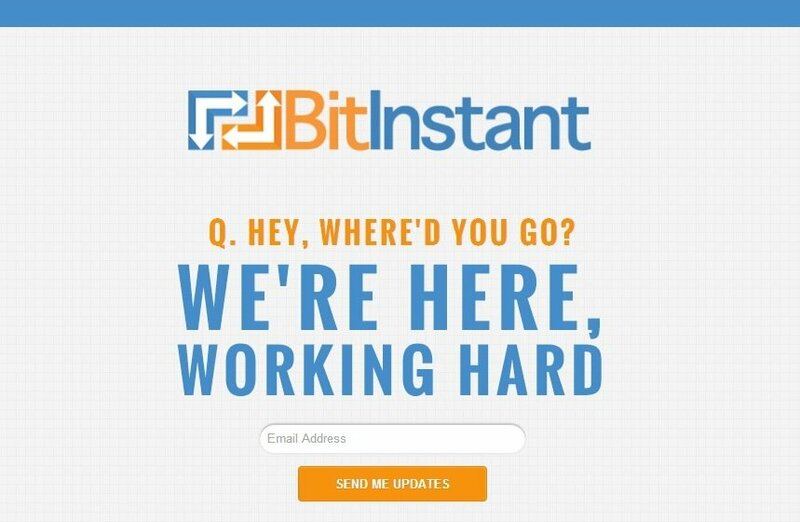 BitInstant has been temporarily shut down in order to update their website. The company has recently launched the renewed version of its service, but decided to make new changes. A while ago, BitInstant “introduced many new features and changes” and, according to the company public statement, “this process has been a learning experience” with customers providing “a lot of great feedback on how things work and how they could work better”. Instawallet has officially closed its claims process, after 91 days receiving and analysing the requests submitted by clients. Recalling the case, the Bitcoin wallet was created in April 2011, providing a faster alternative to other wallets. Instawallet required no signup or other verification: it created a secret link that gave access to each user’s wallet. The idea was apparently good, until the website’s security was cracked, allowing access to intruders that could then see the secret links. Due to this episode, the company had to close and customers started filing claims to get their money back. One of the most unexpected episodes of the week. The access to the website Listen to Bitcoin was blocked by Google Chrome due to the presence of malware. According to the warning that pops up when you try to enter the page, the Bitcoin transaction visualizer, where you can usually “see and hear new transactions, trades and blocks as they propagate”, is currently infected with malware. ListentoBitcoin.com was launched back in March of this year by Maximillian Laumeister, a student at the University of California, who wrote a public statement explaining the situation. The creator of the service decided to post a public statement on Reddit (under his user name AlpineWolf) apologizing and explaining the situation: the service was sold about a month ago “to a stranger on the internet” and he must be the one responsible for the malware. 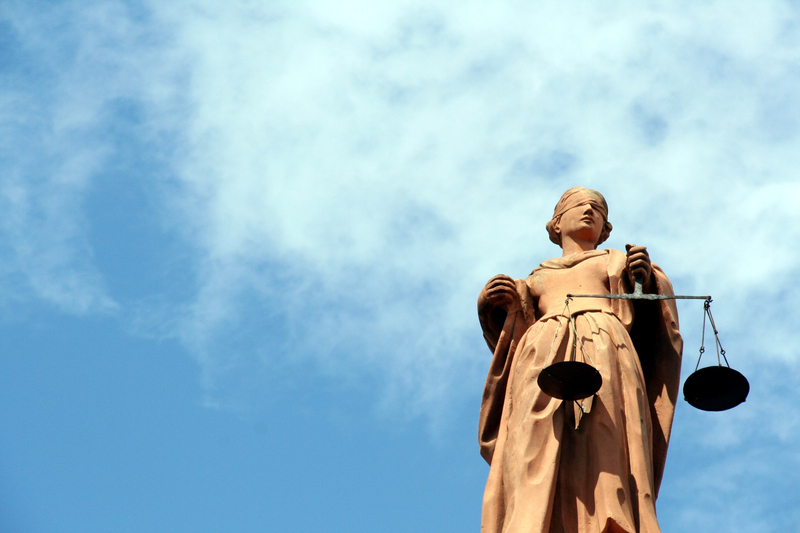 The Bitcoin Foundation has recently created three different legal committees to overcome the recent problems that have been affecting the cryptocurrency world and try to guide businesses and individuals who use Bitcoin. The legal matters will now be divided into three groups: the Law and Policy Steering Committee headed by Mike Hearn, the Legal Defense Committee directed by Brian Klein and the Regulatory Affairs Committee managed by Marco Santori, who talked with 99Bitcoins recently. After the major Bitcoin London conference, which happened back in the beginning of this month, England’s capital will be the center stage of another huge event connected to cryptocurrency. The Bitcoin Focus meetup will occur on July 24th, at the Alpha Beta building located in 1A City Road. The main theme of the event will be the regulation of virtual currencies. Adam Vaziri, from the e-payment compliance advisory firm Neopay, and Javier Marti, from Bitcoin Global Investments, will be speaking about “The regulatory landscape in the UK from a Bitcoin perspective” and also about “The bigger picture”, respectively. “Do good with Bitcoin” is the simple slogan that pretty much explains how the donations platform BTC4Charity.com works. The website allows its users to help several organizations by donating how much they want and when they want. No contracts, no obligations, just the desire to help others. Currently, it’s possible to support well-known institutions like Greenpeace, UNICEF or the German non-governmental organisation SOS – Children’s Villages. You can either donate or also include your institution in the platform. Bitcoin Examiner talked with Cláudio Castro, the Portuguese designer of the Bitcoin ATM device that is being created by the start-up Lamassu, about his new project. The founder of the company Cláudio Castro Design lives in a country that almost doesn’t know what Bitcoin is, but ended up being the chosen one thanks to his talent and experience. After learning about cryptocurrency in 2011 and investing in Bitcoin, he now hopes that Portugal sees the potential of the famous digital currency soon. CoinAva is the name of the new platform that is bringing cryptocurrency to Iran! Besides trying to spread the word about Bitcoin in the country, this platform allows users to buy and sell virtual currency, via a counter party in Australia. From now on, people in Iran can buy and sell Bitcoins, as well as learn more about the cryptocurrency with the help of CoinAva’s team. And, besides the platform, there’s more news: Iran also has a new forum dedicated to cryptocurrency called Persian Bitcoin Talk, which you can visit here. A group from New York is trying to produce a documentary “about the socioeconomic impact that Bitcoin is making around the world”. So, they started gathering funds through the crowdfunding platform Kickstarter almost a month ago in order to collect at least $100,000. According to the information about the project available at the official fundraising page, the final product will be “comprised of interviews from global Bitcoin users”. While the whole world watches as the general numbers of Bitcoin downloads go down, Argentina is fighting this negative tide. The country’s share of global cryptocurrency downloads almost tripled between June and July, going from 1% to nearly 3%. And there’s more: in the ranking of the top 50 countries connected to Bitcoin, the South American nation is the only one that has increased its rates this month. After a remarkable premiere, the event Bitcoin Exchange Berlin, also known as BXB, will be repeated on July 27th, from 4:30 pm to 7 pm. Europe’s famous in-person Bitcoin exchange will occur at Platoon Kunsthalle, giving the attendees “the chance to buy and sell Bitcoins from person to person and in cash”. The second BXB promises to help you “get in touch with the new global monetary system in an easy and entertaining way”, states the event’s official Facebook page. 126,315 BTC! This is how much the new owner of SatoshiDice paid for the famous gambling website, which was recently sold by Erik Voorhees. Translate that into US dollars and you have the amazing amount of $12.4 million. This means that the holders of S-DICE shares on MPEX now have the right to receive their part, as each share is equivalent to a hundred-millionth of the company. However, Voorhees decided to reward the share holders. BTCMerch is a payment processing system for accepting bitcoin payments with all advantages of credit cards. It is very simple to implement BTCMerch into shopping carts. Merchant should just copy/paste the HTML code. The fee is 0.5% of a transaction value.